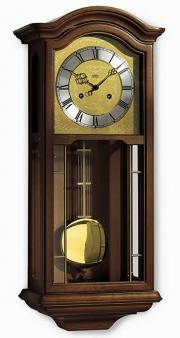 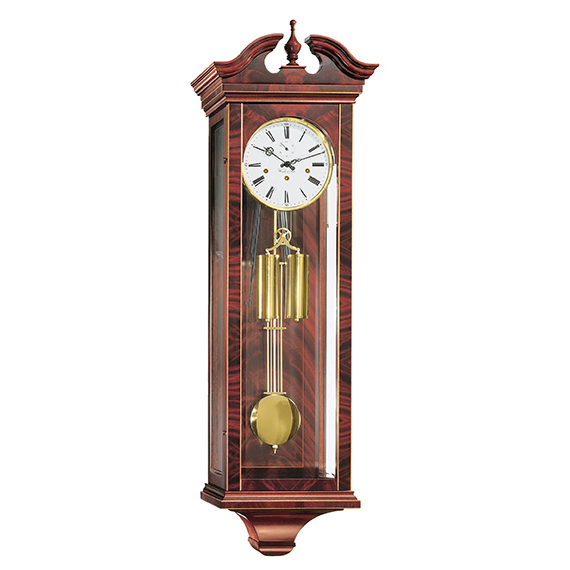 The Hermle Dartmouth Regulator Wall Clock is a fine solid handcrafted regulator wall clock made out of solid mahogany with curl veneers. Inlays in light colour are giving this clock a typical English look, in combination with bevelled glass on all three sides. 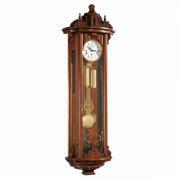 - Solid mahogany case with curl veneers. 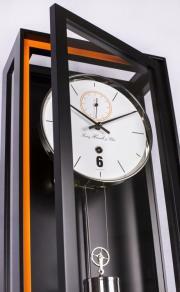 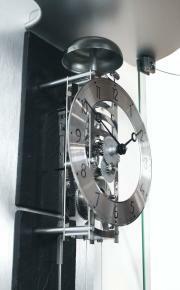 - 8 day mechanical movement with a 4/4 Westminster chime.